Police in Nkhata Bay have arrested four suspects in connection with the brutal killing of a 54 year old person with albinism, Yasin Phiri. Phiri was killed by thugs who gained entry into his house after breaking a window on the night of December, 31, 2018. National Police spokesperson James Kadadzera confirmed the development in an interview with Times. He added the apprehended suspects will face the law as soon as investigations are finalised. The suspects are all from Kande Trading Centre in the district. 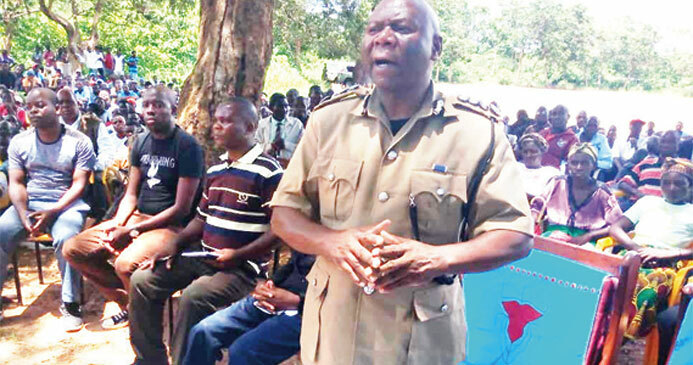 Meanwhile, Northern Region Police Commissioner Hannegs Mlotha who condoled Phiri’s family in Nkhata Bay has pledged to intensify security for all people with albinism. Association of Persons with Albinism of Malawi president Overstone Kondowe recently condemned the attack, saying it has just proven that people with albinism in the country are still vulnerable as their security cannot be guaranteed. Kondowe then said the association wants to meet State President Peter Mutharika on the matter. Different civil society organizations and Mdauko wa a Tonga group, which promotes Tonga culture also condemned the attacks adding they are ready to work with the police to ensure more culprits are arrested.